Cooper Compliance and Crow Canyon announce the release of a Microsoft SharePoint-based compliance tracking and auditing system that gives electric utilities the tools they need to adhere to North American Electric Reliability Corporation (NERC) standards and requirements. The partnership of Crow Canyon, a major player in the SharePoint application space, has produced a cost-effective and robust system that keeps electricity providers of all sizes in step with NERC regulatory requirements and powers Internal Controls Evaluation (ICE) and CIP V5 readiness. The system, available now, combines Cooper Compliance’s Global Audit Ready with Crow Canyon’s Help Desk and Asset Management programs. Global Audit-Ready, designed specifically for NERC Compliance and Crow Canyon Help Desk and Asset Management, a robust ticket and asset tracking application, work together to take away administrative burdens and improve efficiencies across the organization. No additional servers are required. The system runs on either on-premises SharePoint or Microsoft Office 365 cloud SharePoint. Easy setup ensures the system can be used immediately and will not sit on the shelf. Low cost to fit into existing budgets. Contact info@coopercompliance.com to learn more about how the Global Audit Ready/Help Desk combo can reduce NERC compliance overhead and power electricity producers to greater efficiencies. Mary Jo Cooper, president of Cooper Compliance, is an electrical engineer with over 30 years’ experience in the electric utilities industry. She has worked on NERC compliance since the first standards were introduced. Cooper Compliance provides compliance consulting services to the electrical industry. Crow Canyon Systems has nearly 20 years’ experience building applications on Microsoft platforms. 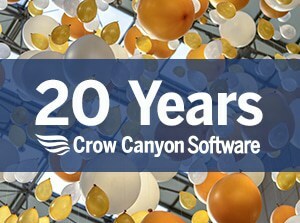 Crow Canyon’s award-winning SharePoint applications are used worldwide by organizations of all sizes and industries.